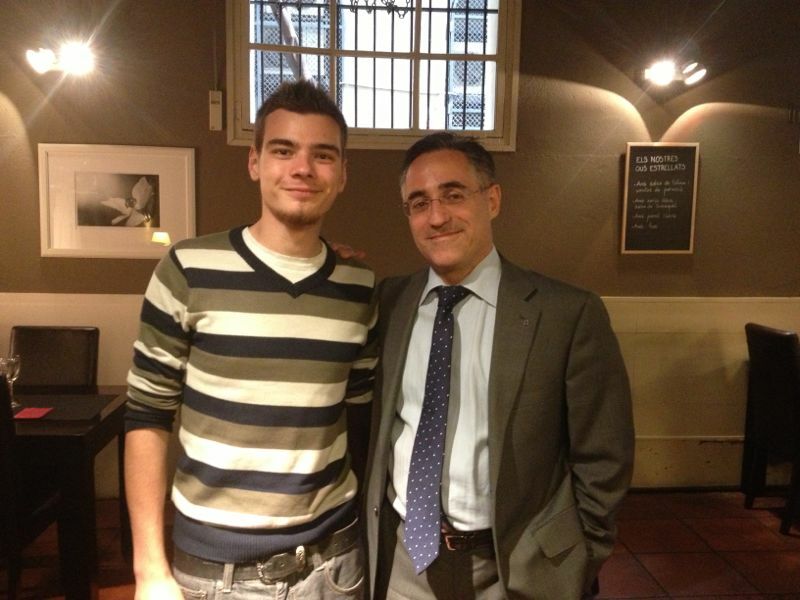 On monday,the Help Catalonia team went to lunch with the catalan member of the European Parliament, Ramon Tremosa. He wanted to meet us because he’s impressed about the job we have been doing. He is who works the most for the catalan culture in Europe and it was an honor to be in the same table as him. He told us his ideas based on his experience in Europe and what are his predictions for the recent future. It was a very interesting lunch. In addition, all Help Catalonia team congratulated me for my work in the Pau Casal’s video.